Discussion in 'Downhill & Freeride' started by ???? ?, Feb 19, 2008. When I get my frame back I want to do my best to prevent any damage to the frame's iscg mounts incase the back of the chainguide hits anything. What effect do you think aluminum chainguide mounting bolts would have? Think they would shear or break before the iscg mounts got mangled or could it cause more damage than the steel bolts? I would suggest simply not tightening it down very hard. I have played with the idea of a spring loaded chain guide which will move when it hits something but is stable the rest of the time. Until they have those, just have the bolts snugged. Good idea, I can't do that on my bike though. 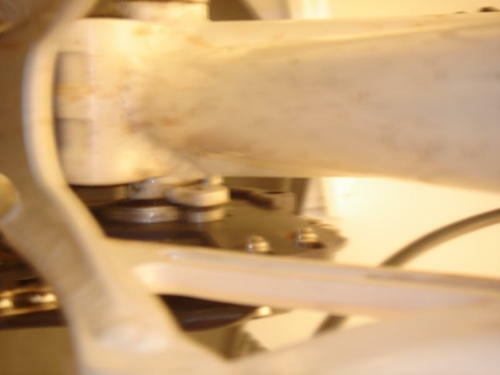 The guide plate is rotated as far clockwise as the bolt slots will allow. It's an LG-1, I'm not exactly sure what you are talking about though. 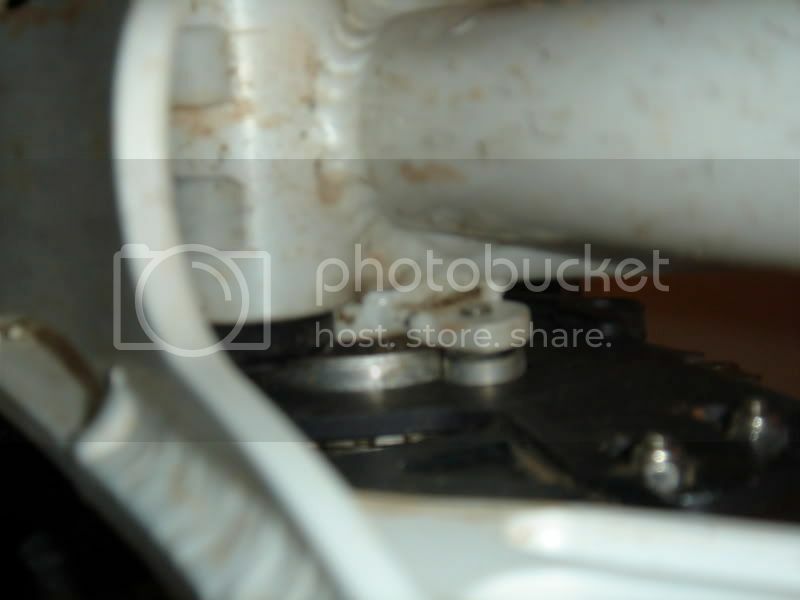 Are you talking about lengthening the slots in the guide plate that the bolts go through? Yea... to be honest, I don't know what the visual differences are between the e.13 back plates and that is the only way that I can tell. I originally got the ISCG '05 guideplate from ride-this.com and then they shipped me the ISCG old plate. I wasn't exactly sure which one I needed so I just asked them for the one that fit the Socom. So I have no idea what plate I have. The plate was kind of expensive to just buy and discard and I doubt they will take back one that has been used for 6 months. So I guess I am just hoping that I have the right one and don't have to buy a third one. These are the only pics that I have of my bb/chainguide area. Sorry for the crappy quality, but I don't have my bike now and that's all that I have. Can you tell if it's the wide plate? You've got the wide backplate. If you had the regular, you would have had to file off some metal to get the guide to fit properly. Where can I get some nice aluminum spacers to replace the conglomeration of different sized, coated and material spacers that I piled together from the bag that came with the guide. Someone makes a chainguide that does spring back, it's a south african guy, the company is dhsa or sadh, something like that, anyone know what I'm talking about?